Jane Fenn is a jewellery and object designer making and creating pretty, magic, things under the name WhiteLightly. Her focus highlights the simple beauty of gemstones in their natural form. 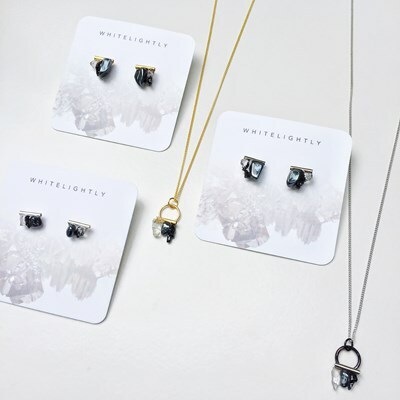 All WhiteLightly pieces are designed and hand made on the Mornington Peninsula and centre around the elementary form of different gemstones and minerals each chosen for their reflective properties. Inherent to the earth they come from, each WhiteLightly piece is truly unique.